On Tuesday, May 3rd, Mercy Multiplied is taking part in Give Local America, a 24-hour online giving event for nonprofits. 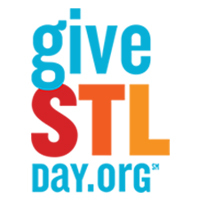 Three Mercy communities will participate under the national Give Local umbrella through its respective regional events: The Big Payback in Nashville, TN; Give STL Day in St. Louis, MO; and Big Day of Giving in Sacramento, CA. Give Local events were created to help nonprofits bolster support in their local communities and raise funds vital to continue their work. With residential homes for young women in Nashville, St. Louis, and Sacramento, Mercy hopes to generate greater awareness and funding for its work and mission in these three communities. Funds raised will help Mercy continue to provide its program completely free of charge and respond to the more than 1,500 calls per month from young women struggling with debilitating, life-controlling issues. Give Local events will occur entirely online, beginning at 12 a.m. on Tuesday, May 3rd, and running for 24 hours. Once the clock starts, supporters will be able to give to Mercy through individual Mercy Multiplied profiles set up at these links: The Big Payback, Give STL Day, and Big Day of Giving. This year, matching sponsorships are being offered to specifically boost gifts to Mercy. 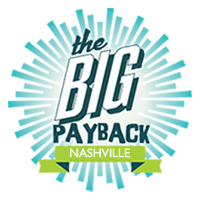 All Nashville Big Payback donations will be matched up to $5,000 thanks to Nelson Mazda, and all Sacramento Big Day of Giving donations will be matched up to $2,000 thanks to Debra Massie Real Estate Team. Gifts from the public will also be boosted with funds from sponsors of The Big Payback, Give STL Day, and Big Day of Giving. Mercy Multiplied will vie for financial incentives and additional prizes through the online leaderboards, which will track donations in real time. Only five days remain until Give Local America kicks off, Tuesday, May 3rd! Be sure to watch your inbox and Mercy’s social media channels for exciting inside looks into Mercy’s program and for updates between the three competing communities! Mercy looks forward to a great day of giving that will make a life-transforming difference in the lives of hurting girls.